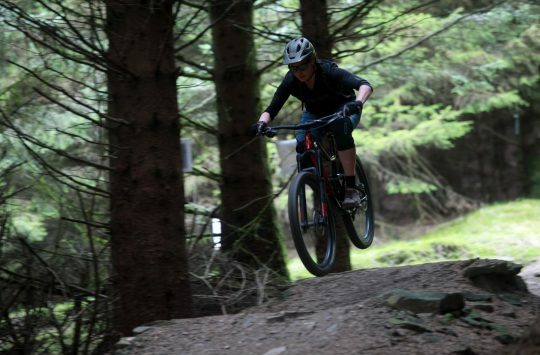 There are a few things I swore I wouldn’t do when I got at job at Singletrack. Wear a gilet, ride clipped in, and use a hip pack. So of course, I’m working my way through this list to become more open minded, and hopefully be proven wrong on my uninformed opinions. But really, what’s the point in a jacket without sleeves? Clipping in sounds dangerous. I like to tripod around corners! And I stopped wearing bumbags when I was 10 years old, I’m going on a bike ride not a trip to Disneyland! With bum bags first on the list of ‘Things that I shall try that may prove me wrong’, enter the Dakine Hot Laps 5L Waist Pack. 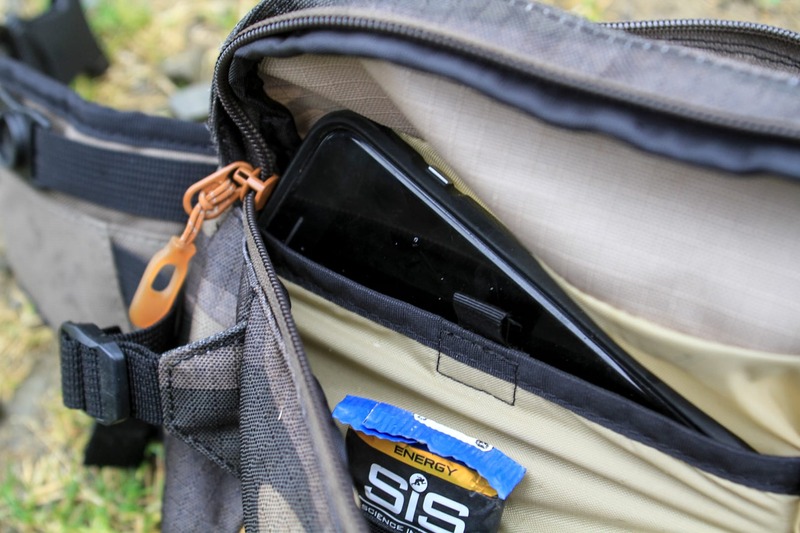 To make my transition from a back pack to a waist pack smoother, I’ve gone for one of the larger options as I’m used to carrying quite a lot of gear – emergency jacket, hayfever relief, enduro banana, and a mobile phone the size of an iPad (thanks Singletrack). Let’s start with the general feel and fit. I have quite a big hip-to-waist ratio, so finding the sweet spot for this pack to sit in took a bit of shuffling around. I’ve found positioning it higher up around my lower back and resting on my hips works best. I have no doubt that on a more square frame the pack would fit much better. Finding the balance between having it tight enough to not move, but not so tight that I can’t breath when sat down, is completely dependant on how much I’ve had to eat or drink that day. 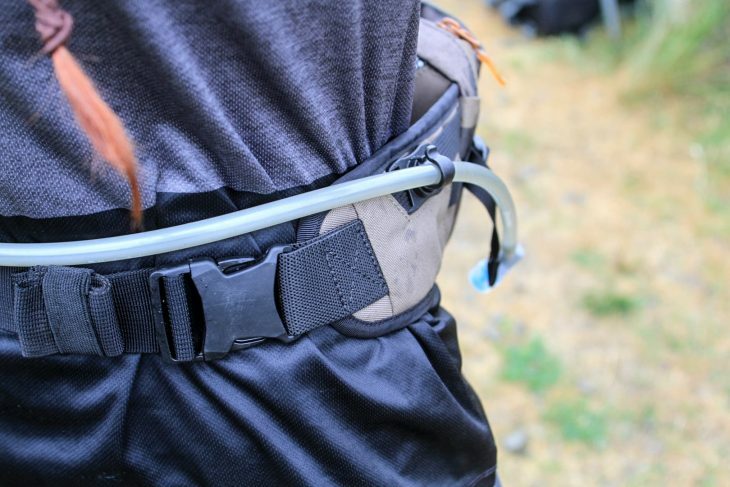 It’s not like just throwing a backpack on, you really need to make sure you’re happy before you set off, and for me that has meant adjusting the strap from time to time. You also need to bear in mind what clothes your wearing – some wardrobe combinations seemed more prone to sideways slippage than others. With 5L of volume, this is on the large side for a hip pack. Initially I thought this was a good option for me as I’m used to having a backpack, but if I fill it to its full capacity it starts to lose the main benefits of a hip pack. 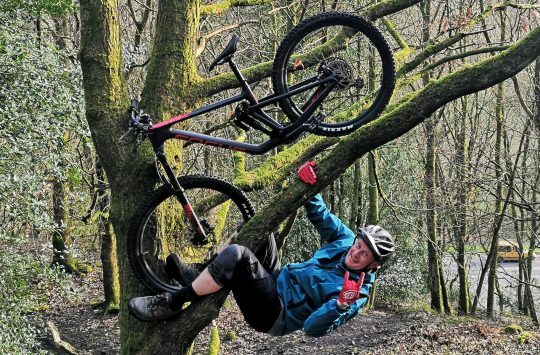 The whole idea of going the minimalist route is to have a pack that is stable on your lower back, while being hardly noticeable and without movement or bobbing up and down while riding on rough terrain. If you really load up the Hot Laps pack though, that weight really starts to become noticeable, and it starts to bounce around. With this in mind I’ve only been partially filling the 2L bladder, and I’m only taking minimal kit out on rides with me, which has returned the hip pack to being barely noticeable and very comfortable to ride in. 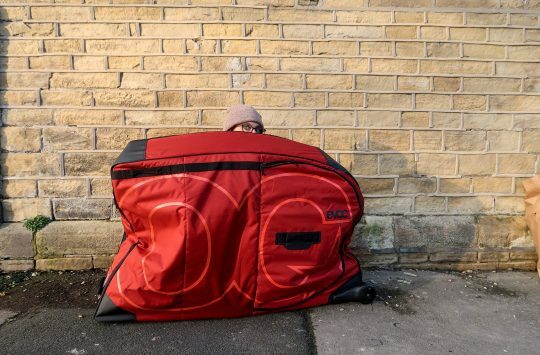 The extra space is ideal for packing in a jacket, which won’t add a lot of weight to the overall pack contents, and is ideal for those rides where you set off overdressed and need to ditch the jacket on the climbs. 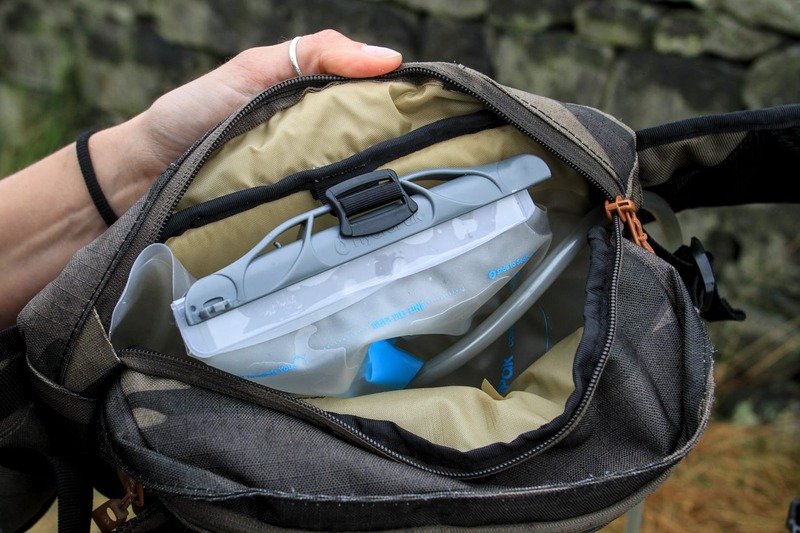 The 2L Hydrapak does fit really neatly into the rearward sleeve though, making full use of the width of the pack. This is great for weight distribution, and it means you can fill or part fill the bladder without it sitting heavy at the bottom. The hose then wraps around your front and has a magnetic clasp, making it really easy to snap it back in mid ride. Other details worth noting are the amount of pockets within the main compartment. For those of us that like to be organised, this pack is your friend. 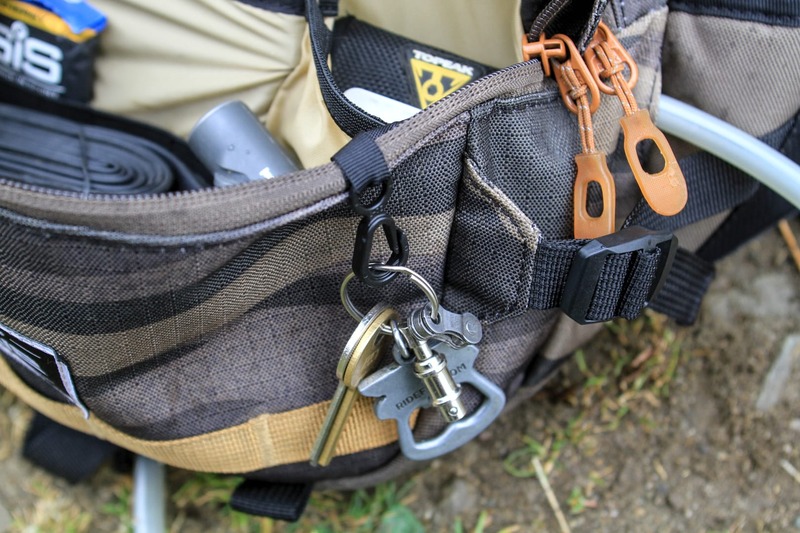 There is a range of different sized pockets and there’s also a key hook – since none of the internal pockets zip up I found this really useful. The zips are shaped in such a way that you don’t end up fumbling around with gloves on, which is a very small detail but it’s one of the things that stood out to me. 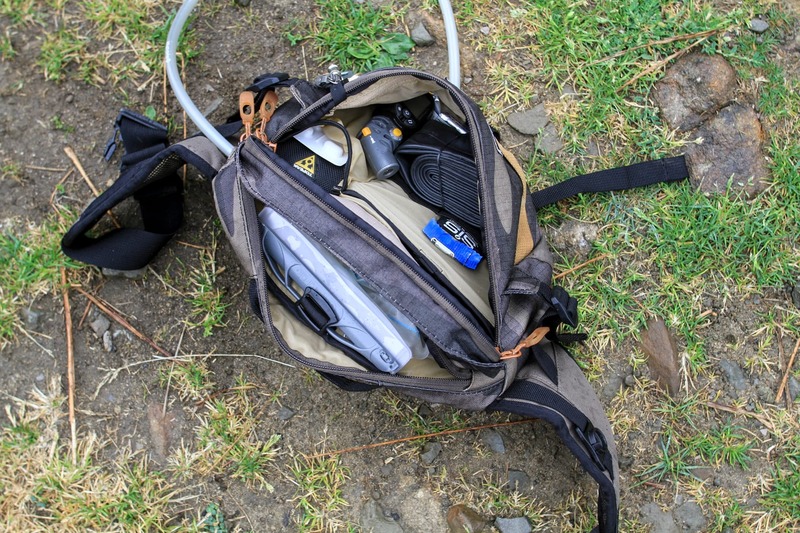 The pack also offers quite a bit of adjustment – you can pack it and then tighten up the whole main compartment so it sits as close to your back as possible. Finally – but quite importantly – there’s a flap that folds over the zip to ensure the pack is weatherproof. It’s a snug fit, and it very efficiently stops the rain getting in. As someone yet converted to The Way Of The Hip Pack for all rides, I think this pack is slightly too big. If you want or need to carry this much on a ride, then you’d be better off just using a backpack. Because if you load this up with extra tools, spares, food and other weighty goods, comfort and stability drops off rather quickly. 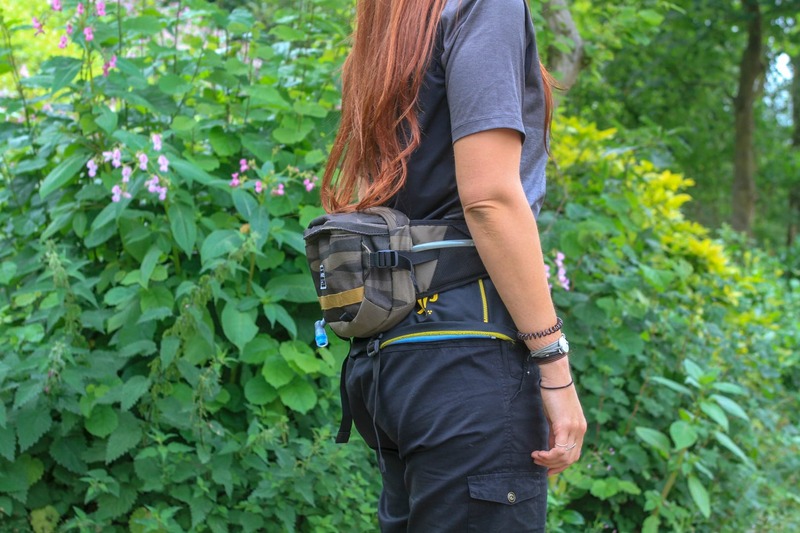 It is otherwise a well-made bum bag that features tough materials and good weather shielding though. The bladder is excellent, and for those without bottle mounts on their bikes, it’s a totally viable option for staying hydrated while riding. Just make sure you pack it with weight in mind, and don’t overfill it. 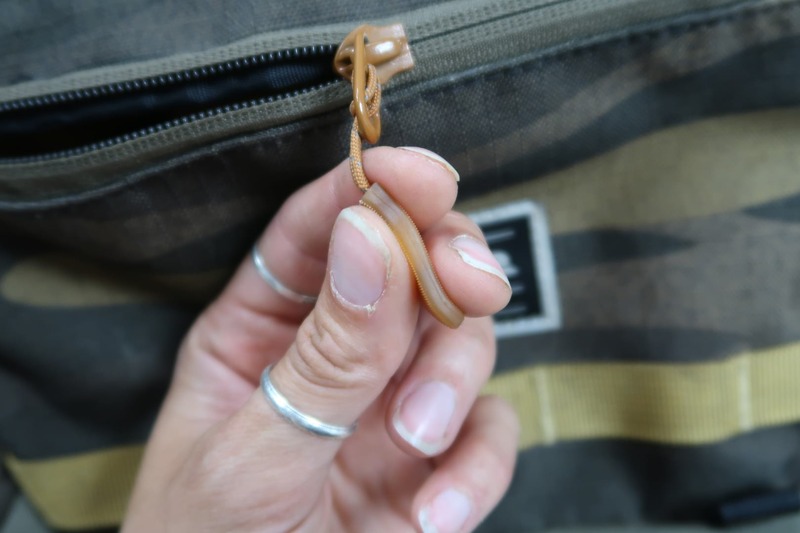 Not quite – there is one zipped pocket inside.